VILLAS AND APARTMENTS TO RENT IN BENALMADENA, SPAIN. 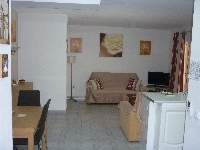 Welcome to our selection of holiday homes to rent in Benalmadena, Spain. Benalmadena is located on the Costa del Sol, between the larger towns of Fuengirola and Torremolinos. Most tourists will find themselves staying in the seaside part of the resort, known as Benalmadena Costa, rather than the old town which is a couple of kilometres inland. Benalmadena is a popular resort with families and older couples, as it is not as noisy or busy as some of the other towns on this stretch of coastline, yet it has all the amenities and facilities needed for a great holiday. Benalmadena, like many of the resorts in this part of Spain, has no shortage of holiday accommodation, both hotels and apartments, as well as a huge selection of bars and restaurants. Whether you want to try some authentic Spanish cuisine or just eat and drink British exports, there will be something to suit your taste here. The promenade is where a lot of the bars and restaurants are found, also providing an escape from the beach should the southern Spanish sun become too hot. The beaches in Benalmadena are long, sandy and get very busy in the summer months. There are some stretches of �private� beach where you can hire sunbeds and parasols, but most of the sands are public, meaning there can be a scramble for space on weekends. Up the hill, in the older part of the resort, there are some pleasant squares built among the developments, where more bars and restaurants have opened their doors over the years. This is also where you will find facilities such as supermarkets and other food stores if you are self catering. Benalmadena is home to one of the most popular theme parks on the Costa del Sol, Tivoli World. Open until 2am in the summer, this huge area is full of fairground rides for children and adults, live shows, including flamenco performances, and even water slides; all finished off with a nightly fireworks display which can be seen from the resort. The cable car up to the top of the Calomorro mountain behind the resort departs from near the entrance to Tivoli World. The views from the top are breathtaking on a clear day, and there are also Spanish horse riding displays and the chance to take your own donkey ride when you get to the peak. Other attractions include the Selwo Marina, with its displays by dolphins, penguins and sea lions and, if you should be unlucky enough to have a rainy day, there is the indoor Sea Life Centre aquarium to keep the kids amused. Looking for self catering holiday accommodation in Benalmadena? Then below is a selection of apartments in Benalmadena and villas in Benalmadena that can be rented direct from their owners. You can either click on each listing for further details or you can use our search engine on the left if you are looking for something in particular.